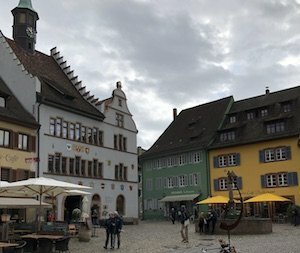 Siv Roland, Leader of New Equations Europe, taught private sessions and introductory workshops in Sölden, Germany, for people who wanted to experience New Equations for the first time. Sölden is a village at the borders of Switzerland and France, which made it easy for people from different countries to attend. To the right is the town square as well as an image of Siv teaching. It is always wonderful to be with a group of people from around the world who have come together to share the strength and wisdom of their Soultype. Everyone was excited to discover how much stronger their spiritual strength is than their physical strength! Siv will be traveling back to Germany in September. Siv will be presenting workshops and offering private sessions in Berlin on September 16, 17, 18, and in Sölden (near Freiburg) September 19, 20, 21, 22 and 23. 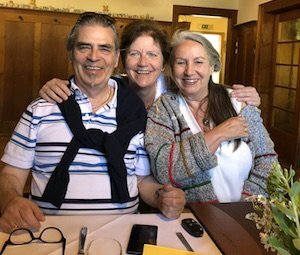 Siv Roland, Leader of New Equations Europe, taught private sessions and introductory workshops in Sölden, Germany, for people who wanted to experience New Equations for the first time. Sölden is a village at the borders of Switzerland and France, which made it easy for people from different countries to attend. Below is the wonderful town square in Sölden. Jenna Tovey New Equations Communications Manager and Certified TeacherJenna is the New Equations Communications Manager as well as a New Equations Certified Teacher. She also has an Energy Healing Practice, Heal Balance Protect. You’ll find her in Los Angeles looking for the best pizza and hoping it will rain soon. New Equations will use the information you provide on this form to send you email updates on workshops, newsletters, concerts, events, New Equations Music, and more.